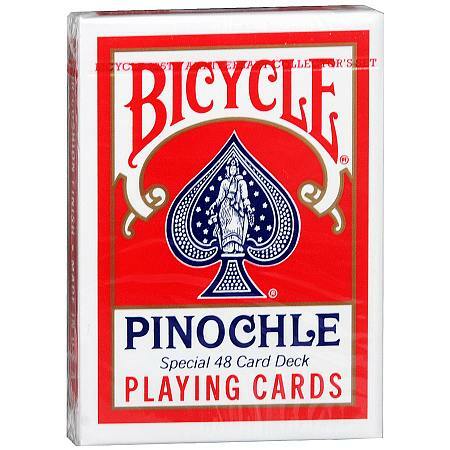 Bicycle Pinochle Playing Cards1.0 ea. This unique deck is made up of 48 cards in four suits, ace through nine, with two of each card in a suit. Cards made with an air-cushion finish. © 2010 The U.S. Playing Card Co.